Our cycle workshop is geared up to tackle any bicycle repair regardless of brand. A free estimate can be provided before any work is carried out. We would appreciate if at all possible that all cycles brought in for servicing (that are excessively dirty) are cleaned. Any cycle that is excessively dirty and requires our technicians to clean may incurr an extra charge. This is for the health and safety of our staff. Thank you. Our service menu explains what we can offer within each service category. If your requirements are more specific we are delighted to discuss your repair in detail. A wheel building service is available. We are able to deal with the servicing of most major brand forks and rear suspension via the respective UK service centres. We are able to service most major brand hydraulic brake systems in our workshop. A breakdown on your way to work? Going on holiday and the kid's bike has a puncture? Contact us and we will endeavour to help. Our technicians are trained to A.C.T. 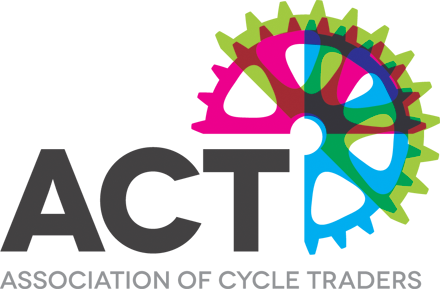 'CyTech' standards (1,2 & 3) - the recognised professional qualification for cycle mechanics. In the middle of overhauling your bicycle at home? Tried everything but the gear will not change "sweetly"? Contact our Technicians - they will be happy to talk you through. They may even give you a couple of trade secrets. We will recycle wheels, parts and complete bikes unless otherwise instructed Free of Charge. The Basic Service is often given to a bicycle which is not used very often. Brakes gears and tyres are checked. The technician will bring to your attention any obvious problems with your bicycle. New parts fitted will be charged over and above the Basic Service charge. Checking and adjusting all bearings. Checking and tightening all nuts and bolts. The Annual Service is normally applied to higher mileage bicycles (commute, leisure or race). Any parts fitted to your bicycle during this service will be added to the cost of the Annual Service charge. The Deluxe level of servicing is normally applied to bicycles used on a daily basis, alternatively a bicycle that has been lying in the garage gathering dust. It comes out of the workshop looking like a new bike. The cost of parts fitted during this service will be added to the cost of the Deluxe Service charge. The cost of parts fitted during this service will be added to the cost of the E-Bike Service charge. VAT number: 345 0392 69. Partners: Colin Murray, Bryn Williams, Margaret Williams. Nicholson’s Cycles, 2-4 Forfar Road, DUNDEE, DD4 7AR.